Now 40G network use has been very common, but many people do not know 40G optical module transmission principle and application. So today Fiberland to simple to share the cost-effective 40G QSFP + SR4 optical module transmission principle and application! 40G SR4 The QSFP + optical module is transmitted over four channels. The electrical signal is converted to an optical signal through a laser array. The photodetector array converts the parallel optical signal into a parallel electrical signal and then uses it with the MTP / MPO coupler. 40G optical connection. 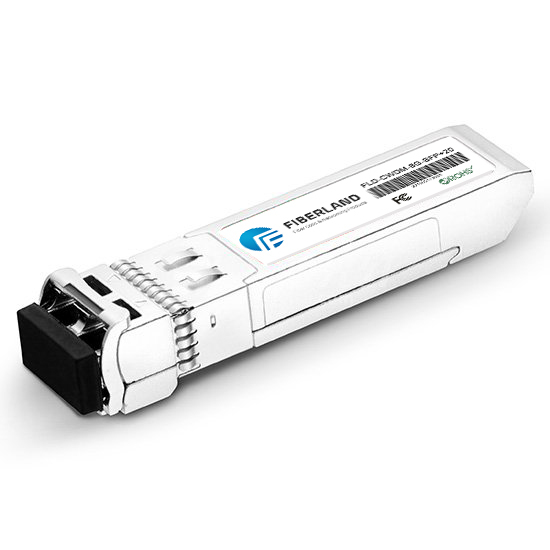 QSFP + SR4 optical module can be completed in the 40G fiber network environment for 40G to 40G transmission. The most simple and easy way to connect is to add two 40G ** machine 40G QSFP + SR4 optical module, and then use the MTP backbone multimode fiber jumper to connect the two optical modules to form a fiber link. And in some special cases, in order to end at the same time and the same address are connected with the 40G optical module and increase the number of two fiber jumper and wiring difficulty. On the basis of the above-mentioned connection scheme, two 48-port 1U rackmount MTP chassis are added, and up to four 12-port MTP fiber optic panels can be accommodated in standard 1U rackmount chassis. This connection method is better Cable handling and higher density cabling is a great convenience. The 40G QSFP + SR4 optical module is a parallel optical module, and its four fiber interfaces are received together. Therefore, the 40G fiber signal can be divided into four 10G signals and then 40G to 10G transmission. On the high-density network cabling, the use of 48 MTP 1U rack chassis, connecting MTP-8LC branch fiber jumpers, you can dividend 4 10G signal transmission. In order to better handle the cable, you can use 1U 96-port chassis, MTP box front of the four 10G LC port and HD MTP 40G port connected. Four 10G-SR SFP + connectors are plugged into the 10G ** machine / port and can be connected to the corresponding LC port for duplex network transmission between 40G and 10G.